The Monkey Barrel, in Denver's Sunnyside neighborhood, is teaming up with a local records company and Uber Eats to launch a delivery vinyl service. The Monkey Barrel, a bar in Denver's Sunnyside neighborhood, is selling vinyl records to accompany your dinner when you order through Uber Eats. Do you want some ambiance to elevate your dinner delivery? 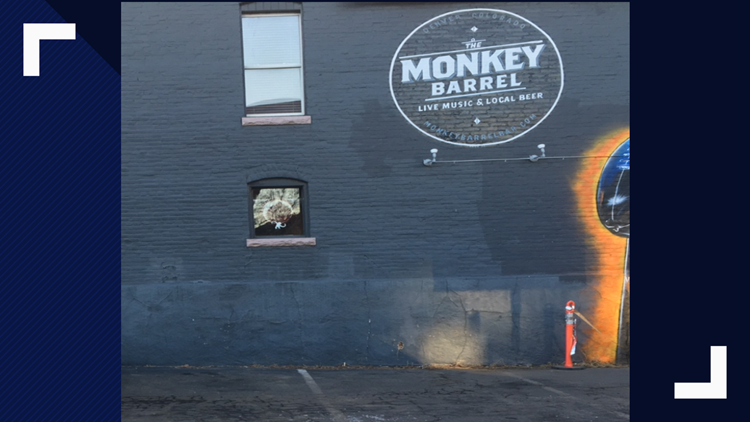 The Monkey Barrel in Denver’s Sunnyside neighborhood may have something that will do just the trick. The neighborhood beer bar has partnered up with a local record company to offer delivery vinyl service through Uber Eats. Now, you can order a sandwich, a slice of chocolate cake and a side of Wu-Tang Clan. “Why wouldn’t we send out a record as delivery with an Uber Eats order?” said Ryan Dykstra, owner of Ryan Dykstra Records. Dyksra’s love of vintage vinyl began while he was in college in the mid-90s. Dykstra said 2016 was the year vinyl started to become cool again and that's when he decided to try to make a business out of it. He has been on a mission to spread his love of vinyl ever since. “My company is all records, all the time,” Dykstra said. Dykstra teams up with retail stores, coffee shops, restaurants, you name it, to sell records. He holds pop up shops and sells out of his yellow school bus at festivals. Dykstra’s most recent endeavor combines old with new: vinyl records and the smartphone app. Along with his friend Jimmy Nigg, owner of the Monkey Barrel, Dykstra picked four albums that can be delivered along with a meal through the Uber Eats app: Wu-Tang Clan's “Enter the 36 Chambers,” Bassnecter’s “Vava Voom,” “Axis Bold as Love” by Jimi Hendrix and “Hybrid Theory” by Linkin Park. Dykstra said he and Nigg plan to offer a new selection of records on the first of every month. So, if this month’s offering may not be your thing, make sure to check your app in a few weeks.